Great Office Space! 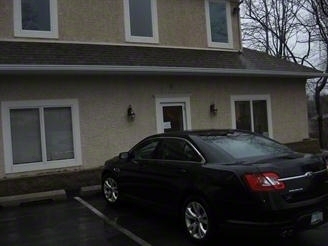 Very nice 2nd floor office space, in a landlord occupied building. space consists of 3 ample offices, large open reception/conference space and 2 common bathrooms. Space is freshly painted and ready to go! Rent includes water, sewer, taxes, insurance, exterior maintenance and snow removal. Tenant pays electric, phone/internet and interior maintenance of space. Plenty of on-site parking. Situated along well traveled Route 3 at the intersection of Providence Rd. Close to all area amenities and shopping. Public transportation available. Easy access to Rts. 252, 476, 352 & 95.